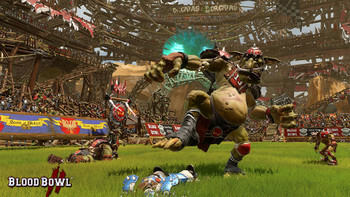 Buy Blood Bowl 2 as a Steam Key. Coach the highly renowned Reikland Reavers from their unfortunate downturn to venerable Blood Bowl heroes, putting you in complete control to manage their destiny. With a story that progresses with each match, you will be coaching your team through helicopter crashes, treachery, and shady sponsorship deals. 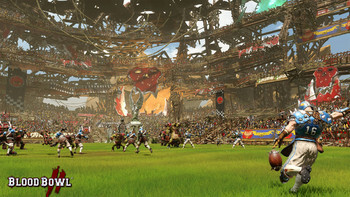 For the first time, lead the Bretonnian Knights and their lowly peasants to lift their Holy Grail, the Blood Bowl cup! 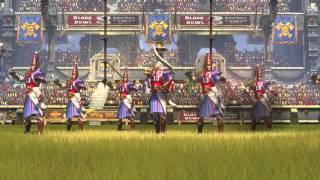 Each of the eight races has had its own AI engineered to match their personalities, creating a much more dynamic challenge. 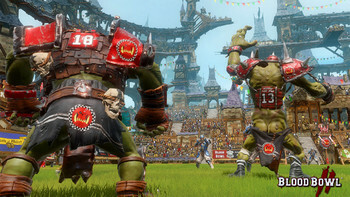 A host of visual changes are introduced in Blood Bowl 2, including new introduction sequences for matches, hyper-realistic action cameras to chase the action, and an all new engine which comes with new emotive animations and high fidelity visuals, as well as a completely redesigned GUI. 3D dice-rolls pop much more in Blood Bowl 2, with intuitive player control enabling coaches to make decisions more confidently. 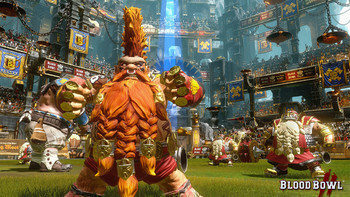 Enjoy clearly visible percentages displayed to indicate the success of an action, and useful tooltips. 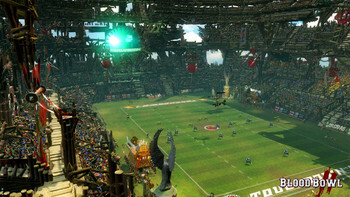 With 5 base stadiums from Human, Orc, Dwarf, Dark Elf and Skaven origin, improve and grow each one through four tiers and 10 add-ons, for a maximum of 20 unique stadiums in Blood Bowl 2. 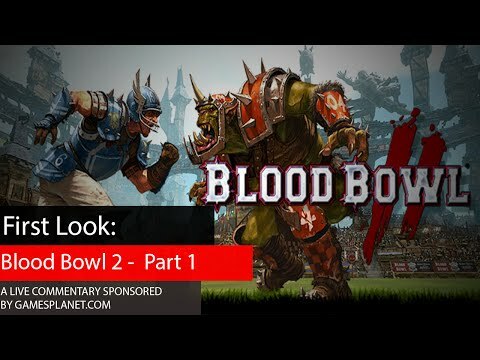 The faces of Blood Bowl 2’s top broadcaster takes a more predominant role. 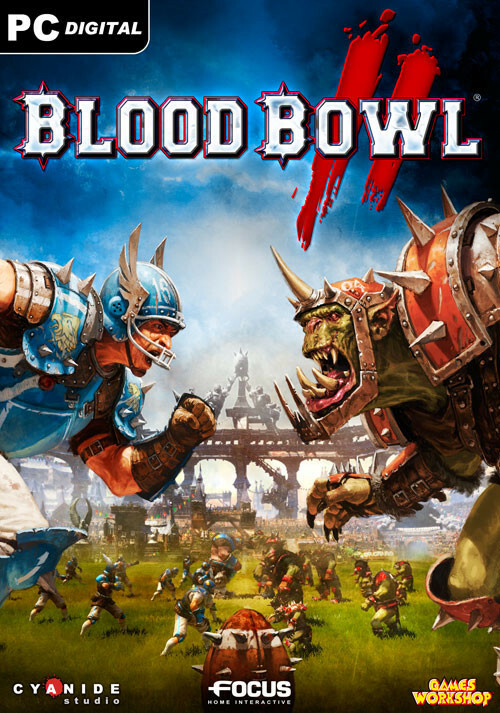 Meet Jim and Bob in 3D, the duo casting your Blood Bowl 2 endeavours to the world. 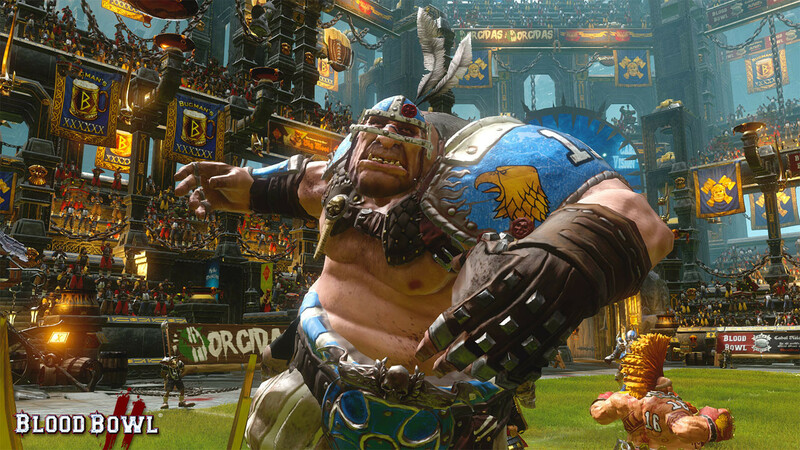 Choose a jersey for your team’s kit featuring a graphic you feel best represents your players. 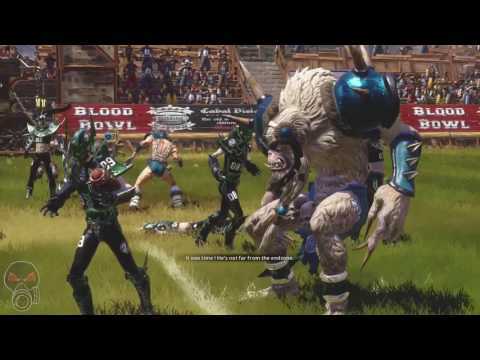 Develop a team and sell your best players on the online Player Marketplace. 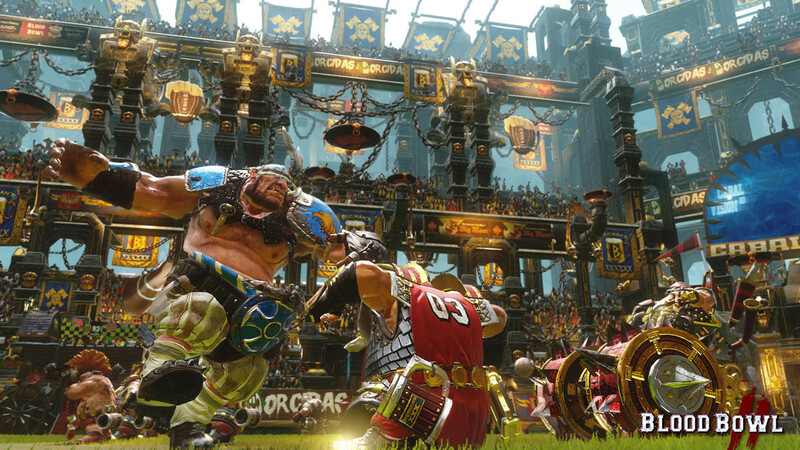 During league-times, buy and trade players from other coaches using in-game currency to cut costs, or boost your chances of success. Players will also eventually retire after a long Blood Bowl 2 career. 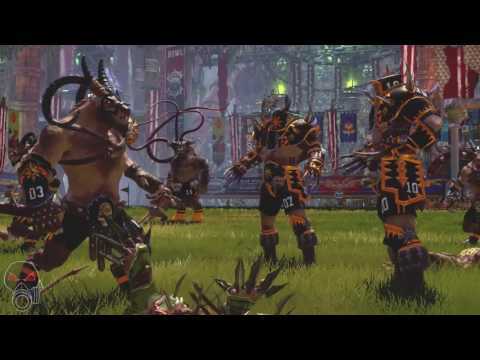 "Blood Bowl 2 will require patience to learn its ins and outs, but thankfully it has a great way to teach you the ropes throughout its campaign." 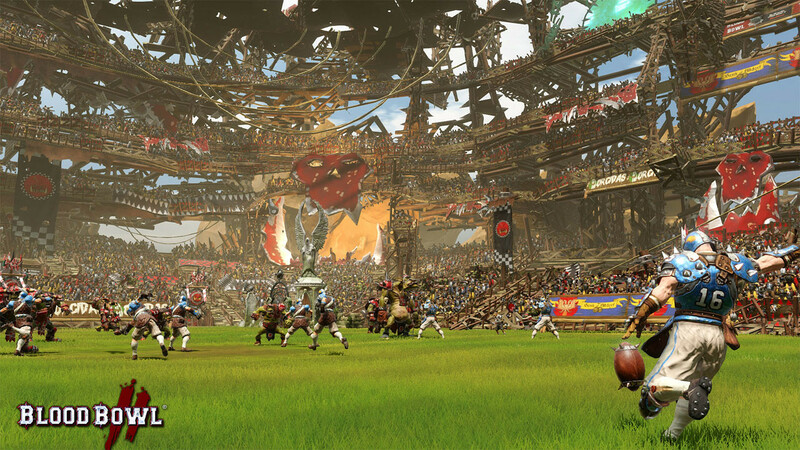 "Blood Bowl 2 is a smashy, satisfying, goofy tactical melee that leaves just a bit too much up to the six-sided dice." "Blood Bowl overall is a fantastic game and has wide appeal to multiple demographics of gamers. 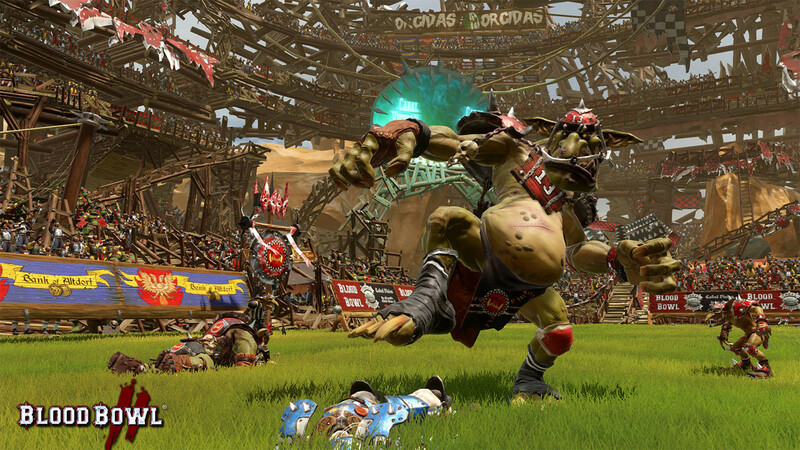 You do not need to be deeply into sports, strategy or even Warhammer to enjoy this..."
Problems with Blood Bowl 2?